Love comes in many forms and shapes. For automobiles, the concept of love can be manifested through several approaches as well – a car’s built or design, its performance, its extra features, and everything in between! And what a big difference can a name spell out when it comes to bringing out the best in a car. With almost a three-year development stage, you can be assured that SsangYong wanted to cover all bases when it comes to creating a mini SUV that will matter. 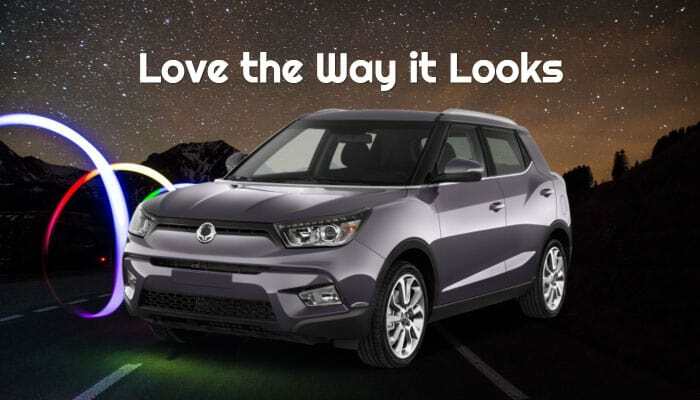 And it surely did not only present itself with the best specifications and performance assets to make any motorist want to drive the car – every driver will surely love the way the Tivoli is, both inside and out! The car’s sport fenders, serving both as eye candy and a functional piece of rugged equipment, will assure drivers that uneven road conditions can safely be traversed. The LED Front headlights, already a powerful and attractive fixture, are further accentuated with front fog lights for an extra boost of style and visibility. 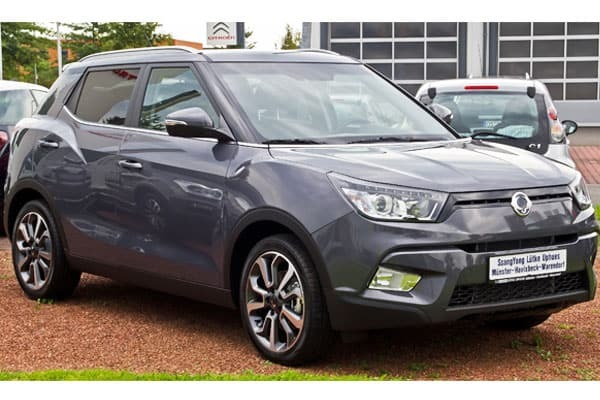 A “floating” roof, one of the standout design features of the SsangYong Tivoli, is a beautiful asset made possible by black A pillars and a black insert located in the D pillar – a graceful and fancy design facet! Also, the diamond cut wheels offer drivers excellent traction – both when it comes to different road conditions and when it comes to blazing a mark when making a lasting impression towards others! 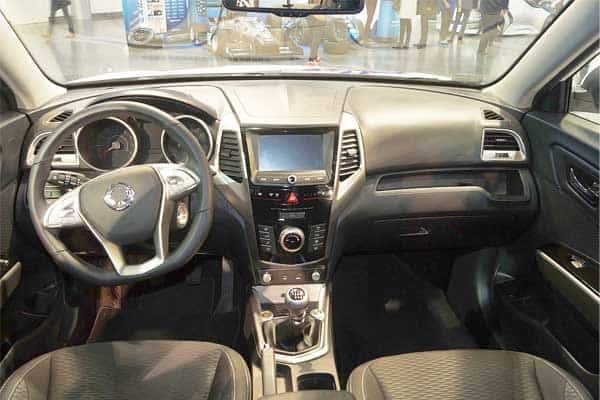 The SsangYong interiors, as expected, will definitely make one fall in love further with the vehicle. A muscular and alpha male approach is exuded in the vehicle, in as much so that the steering wheel is already an intimidating (yet also attractive) part to stare at! Making sure that the driver and his or her passengers are given the best treatment, the Tivoli’s seats come with premium upholstery for the best in comfort and style experience. Also, an option (and depending on the trim) to have heated seats is available – just the perfect option to both keep one comfy and set the mood for love! Space is also not an issue in this mini SUV – a standard boot of 423 litres means drivers get to carry more than enough luggage for long drives or trips! 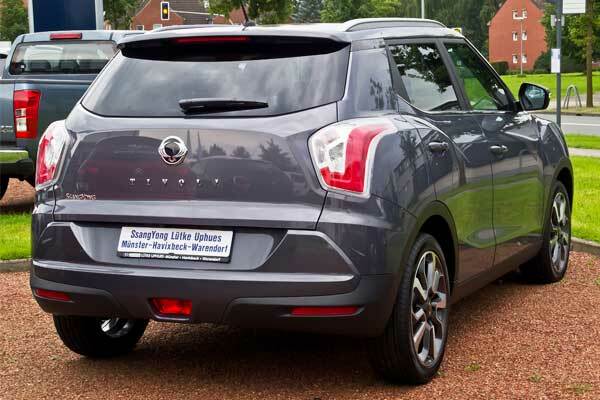 When it comes to power and performance, the SsangYong Tivoli only brings more reasons for one to love it! Although the Tivoli does come in five different variants – Sport, Sport R, SX MT, SX AT, EXG – all trims do come in a 1.6 litre gasoline power unit. This just means that the right power output can be expected from any Tivoli model – a perfect expectation, especially if one chooses to use the vehicle for off-road treks and the like! With a front wheel drive, power is distributed at an optimum, without losing out on control and performance. The Tivoli has been recorded having a peak power of 128 horsepower output (at 6,000 RPM) and a top torque record of 160 Nm (at 4,600 RPM). When it comes to taking control of this lovely powerhouse, drivers have the option of choosing between a 6-speed manual transmission system and a 6-speed automatic transmission system. Regardless of which transmission system one opts for, fuel efficiency is still optimized in the vehicle, with mileage computed and always accounted for in the Tivoli’s overall system! Traffic Sign Recognition (TSR) System – a great assist, especially during those hectic or fast-pace drives, the Tivoli’s TSR system will allow drivers to be extra cautious on traffic signs and various warnings on the road. Lane Departure Warning (LDW) and Lane Keeping Assist (LKA) Systems – prioritizing the driver’s position on the road, the Tivoli’s LDW and LKA systems will give the motorist additional help in both warning of swerving towards another lane and in keeping tabs on being the right lane at all times. High Beam Assist (HBA) System – we all know how bright headlights can bring out the worst in any driver. Even the most harmless of intentions of having their lights on high may result to road rage for other drivers! As such, the Tivoli wants to keep the love in the air at all times possible with the HBA system. This innovative feature will detect vehicles from the front and rear sides, dipping headlamps accordingly to the need of the situation. The Tivoli is a lovely vehicle, that we can assure you of. Make sure to check this vehicle out in the market today – better yet, grab the opportunity to drive one now!